Alice (Jenna Elfman) is a fiercely independent career woman whose life is turned upside-down when she meets the love of her life – a divorced father with three kids. This triggers even more upheaval when the slightly unhinged imaginary friend she created as a child suddenly reappears to help her navigate the transition from single girl to a woman ready for a family. Jenna Elfman (Alice) is best known for her role as Dharma on the ABC sitcom Dharma & Greg. She has starred in the short-lived sitcoms Courting Alex, Accidentally on Purpose, 1600 Penn and Growing Up Fisher. In 2012, she played Naomi Walling in the final season of the award-winning drama Damages. Some of her feature film credits include EDtv, Keeping the Faith, Looney Tunes: Back in Action and Friends with Benefits. Stephen Schneider (Ben) has starred in the Broad City on Comedy Central and You're the Worst on FXX. 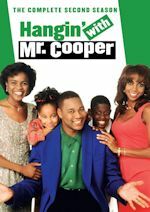 Some of his other sitcom appearances include Happy Endings, Best Friends Forever and Save Me. Nicholas Coombe (Andy) has made guest appearances in Supernatural, Motive and iZombie. His film credits include Pants on Fire and Midnight Sun. Matreya Scarrwener (Dora) has starred in Strange Empire and Ties That Bind. Some of her other television credits include R.L. Stine's The Haunting Hour, Spooksville, Once Upon a Time and Falling Skies. Erica Tremblay's (Bunny) television credits include The Killing, Supernatural and Motive. Her upcoming film projects include The Bye Bye Man and Before I Fall. Rachel Dratch (voice of Mary) was a cast member on Saturday Night Live from 1999 to 2006. Some of her sitcom guest appearances include The King of Queens, Frasier, 30 Rock, Wizards of Waverly Place, Up All Night, Suburgatory, The Middle and Parks and Recreation. The first two episodes were available for review. A fiercely independent career woman, Alice has her life turned upside-down when she meets Ben, a divorced father with three children, and soon falls head-over-heals for him. This triggers more upheaval when the imaginary friend she created as a child, Mary, suddenly reappears as she is nervous to meet Ben’s kids for the first time. 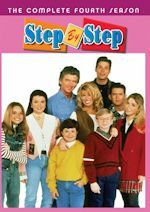 When Ben asks Alice to help him with her first mom-like task to pick up Bunny from dance class, Mary quickly discovers the simplest parental tasks are fraught with difficulty. Afterwards, Ben is disappointed when Alice tells him she can’t help with the kids anymore, but things change when Andy enlists Alice’s help to overcome his fear of taking a driving test. Imaginary Mary is a single-camera live action/CGI hybrid comedy. It comes from The Goldbergs team Adam F. Goldberg (writer/executive producer), David Guarascio (writer/executive producer) and Doug Robinson (executive producer). Mary CG animation is designed by Patrick Osborne (creator of Academy Award-winning animated short The Feast, who is also executive producer). The pilot was directed by Shawn Levy (Night at the Museum, Cheaper by the Dozen), who is also executive producer. The series is a co-production with Sony Pictures Television, Happy Madison and ABC Studios. In the "Pilot" episode, there is a flashback scene where Alice is age 6. She draws and creates Mary in her mind. Alice's parents weren't always there for her, but Mary was when she was needed. There is also a flashback scene when Alice is 18 and with a boy in bed. In the present day as an adult, Mary owns her own business a PR rep for pro athletes. She meets Ben who has an online dating profile named DivorcedRadDad. Alice helps Ben fix his profile. Three months later, they are a couple. Ben's kids arrive home, but Alice isn't prepared to meet them yet and scrambles out the window. Ben tells the kids that he is dating Alice and wants them to meet her. Alice and Ben have dinner where Mary appears again. Alice is scared to meet the kids, but they eventually visit her place. Unfortunately, the kids cause some damage at her home. Alice tries to give Ben some advice. After meeting the kids, Alice and Mary drink at a bar and sing karaoke. Alice and Ben then decide whether they want to continue seeing each other. 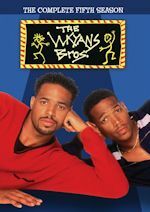 The "Pilot" episode is very fast-paced and provides a good introduction to the characters. There are only five main cast members plus Mary, so there is plenty of screen time for all of them. The "Pilot" and second episode is directed by Shawn Levy, who has directed film such as Cheaper by the Dozen, The Pink Panther and the Night at the Museum franchise. He was the perfect choice as a director and producer because he has worked with kids and CGI often. The CGI in the first two episodes looks very good. They made some changes in the design and animation of Mary from the original trailer last year. The character is more cute looking. I'm sure kids will want their own Mary plush dolls, whatever she is. Jenna Elfman leads a talented cast. She makes her return to ABC in her first starring role on the network since Dharma & Greg ended in 2002. It's hard to believe it's nearly 15 years to the day that the series ended. She has starred in a string of short-lived sitcoms on other networks since then, so hopefully she has more success with this one. She does a very good job here in one of her better roles. She filmed her scenes with a puppet. It probably isn't easy to act that way, but she has done it before in Looney Tunes: Back in Action. Rachel Dratch was a fine choice as the voice of Mary. She brings the character to life. It seems like she is allowed to improvise and go a little bit crazy. Stephen Schneider has some good chemistry with Elfman already. The child actors seems very natural and do a good job. Nicholas Coombe as Andy is a standout in the second episode especially. 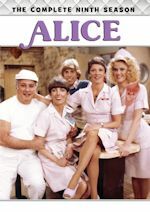 They show a scene at Alice's business with her employees in the second episode, so I wonder if we will see some recurring characters in upcoming episodes. Imaginary Mary has put together a solid and funny cast, very impressive CGI special effects for network television and a nice soundtrack (with artists such as Katy Perry and Alicia Keys). The first two episodes are like mini movies. Jenna Elfman returns to ABC where she had her most success with Dharma & Greg. Her Alice character is very cheerful and a bit wild at times like Dharma. The rest of the cast is very good and works well together. The quality of the CGI animation of Mary is something you would see in a big budget film. This is the year of the live action/animated hybrid with Son of Zorn premiering last fall. The series will premiere with a special sneak preview on Wednesday before moving to its regular time slot next week on Tuesday nights at 9:30pm. It was a bit concerning that ABC reduced the episode order number in September from 13 episodes to only 9 episodes. It was necessary due to the tweaks they made to the animation, which looks excellent. They really don't overuse the Mary character in that many scenes. There's a good balance between the Alice/Mary and the family scenes. ABC already has a strong lineup of family comedies, so it's hard to tell if this one will be able to develop an audience and find a place on the schedule in the fall. This family comedy should be enjoyable for the next 9 weeks at least. Kids will surely love the animated Mary who sings and dances. I don't know if there will be any stuffed toys, but there could be a market for them if the show becomes a hit. There's something for the entire family with this unique live action/CGI hybrid comedy. Discuss the show after you watch it on Wednesday, March 29 at 8:30PM ET/PT on our message board. The Big Bang Theory star Johnny Galecki will appear in and executive produce SciJinks (wt), a new Science Channel series scheduled to premiere in 4th quarter 2017. SciJinks will use cutting-edge science as the foundation for outrageous stunts and practical jokes, creating the smartest prank show on television. The announcement was made today by Marc Etkind, General Manager of Science Channel. Galecki will orchestrate a team of brilliant and inventive scientists drawing from chemistry, physics, technology, engineering and more, with never-before-seen pranks designed to introduce audiences to remarkable and unusual scientific discoveries. Along with Galecki, each of the eight, 30 minute episodes will be guided by scientists, physicists and stem students. Galecki's Alcide Bava Productions and A. Smith & Co. Productions will produce the series. 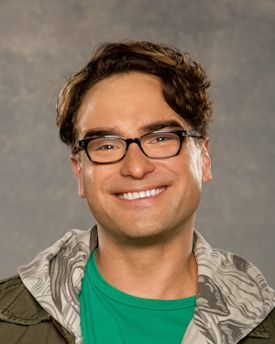 With a professional acting career that spans more than 25 years, Johnny Galecki is best known for his role on the hugely popular television series The Big Bang Theory. Galecki has garnered an Emmy(R) and Golden Globe(R) nomination, along with those from the Critic's Choice Awards, People's Choice Awards(R) and five consecutive ensemble nominations by the Screen Actors Guild Awards, among others. Galecki has been in a number of successful roles from Entourage, Hope & Faith, and most notably in the role of David Healey in the sitcom Roseanne. Galecki has been nominated for numerous awards, including the 2015 Critics Choice Television Awards for Best Actor in a Comedy Series in addition to a 2014 Online Film & Television Association (OFTA) Television Award for Best Actor in a Comedy Series.